This fall, Sheriff’s Meadow Foundation will officially allow a restricted amount of bow hunting of deer on certain selected properties. While hunting has occurred on many of our lands over our 50 years, it has not occurred with our sanction. This policy has changed, and the change in policy warrants an explanation. In September of 2009, the foundation adopted a policy where it could consider allowing deer hunting by bow and arrow on lands that it owns in fee simple. The primary reason for adopting this policy is the clear correlation between the abundance of deer and the incidence of tick-borne diseases. The primary host animal for the adult deer tick is, unsurprisingly, the white-tailed deer. Deer ticks infect humans with the agents causing Lyme disease, babesiosis, erlichiosis and more. The more deer there are, the more deer ticks there are. The more deer ticks there are, the greater the chances of being infected with a tick-borne disease. Martha’s Vineyard has deer aplenty. The habitat suits them and the Island deer herd suffers no predation, other than mortality due to hunting and unfortunate automobile drivers. Hence, where the MassWildlife program recommends that the Island have 10 deer per square mile, we instead have 50 deer per square mile. Due to these numbers, deer have also been damaging many of our native plants and wildflowers, including rare species. Wood lilies, for example, are especially appetizing to deer and are heavily browsed. Hunting is not the only thing we can do to address the problem of tick-borne diseases. Dr. Sam Telford of the Tufts Cummings School of Veterinary Medicine has outlined several ways of reducing the incidence of infection, including: Check for ticks within 24 hours of being outdoors, keep the grass around the home cut short, widen walking paths and reduce the numbers of deer through hunting. If Sheriff’s Meadow Foundation owned just one property, this issue would not weigh on us as heavily as it does. But the foundation owns 2,000 acres of land and is the largest private landowner on the Island. With an Islandwide public health problem linked directly to wildlife habitat and wildlife management, the foundation has an obligation to act. Certain things that are sensible on a small scale are impractical or impossible on a large scale. Mowing 2,000 acres of scattered properties is impractical, undesirable for many reasons and would have no impact on the number of deer. We cannot stop hikers as they leave the trails and check them for ticks. We can, however, widen trails, and we can allow a limited degree of hunting. Thus the decision to allow bow hunting of deer on two properties: Oyster-Watcha Midlands Preserve in Edgartown and Quansoo Farm in Chilmark. Both of these properties have been actively hunted in the past. Hunting will be by permit only and will be limited to archery. We will start by issuing permits to people who have hunted the properties in the past. At this point, we are not inviting permit applications from the public and are not allowing hunting on other lands. This could change in the future, if our program is not problematic and if it begins to make a difference. We hope that this program is successful. Officially allowing hunting is a change in policy for Sheriff’s Meadow Foundation. The late Henry Beetle Hough, who with his wife Elizabeth Bowie Hough founded Sheriff’s Meadow, was not a proponent of hunting. The Island has changed, however. Years ago, there was not the problem of Lyme disease and there was not the prevalence of tick-borne diseases. The Island was not teeming with deer. 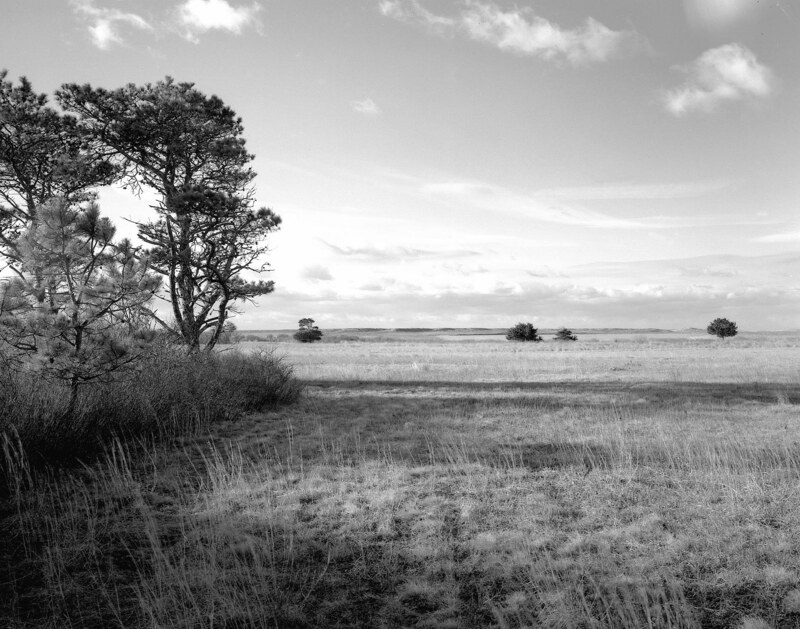 While hunting is a change for the organization and is not consistent with the Houghs’ philosophy, it is consistent with our mission, which is to conserve, manage and administer land for wildlife habitat, and to maintain the rural, natural character of Martha’s Vineyard for present and future generations. We believe that our new hunting policy is consistent with our mission — and is necessary. Anyone with questions or concerns is invited to contact me at moore@sheriffsmeadow.org or at 508-693-5207. Adam Moore is executive director of the Sheriff’s Meadow Foundation.